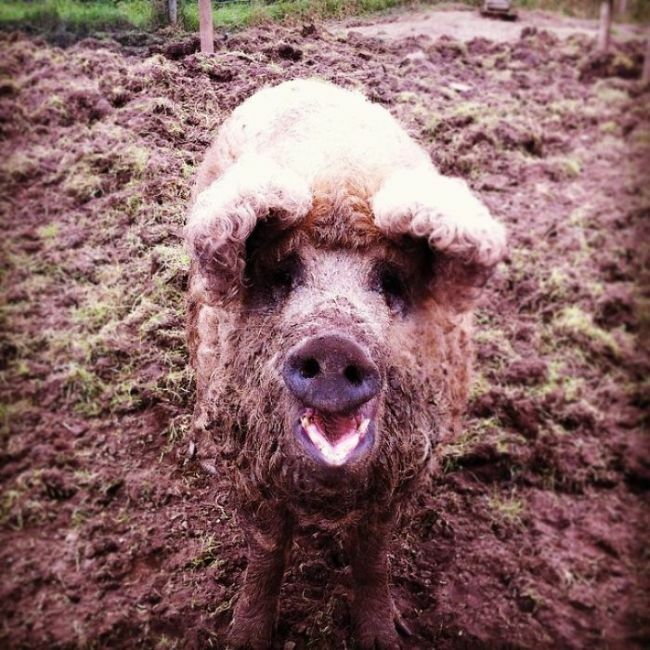 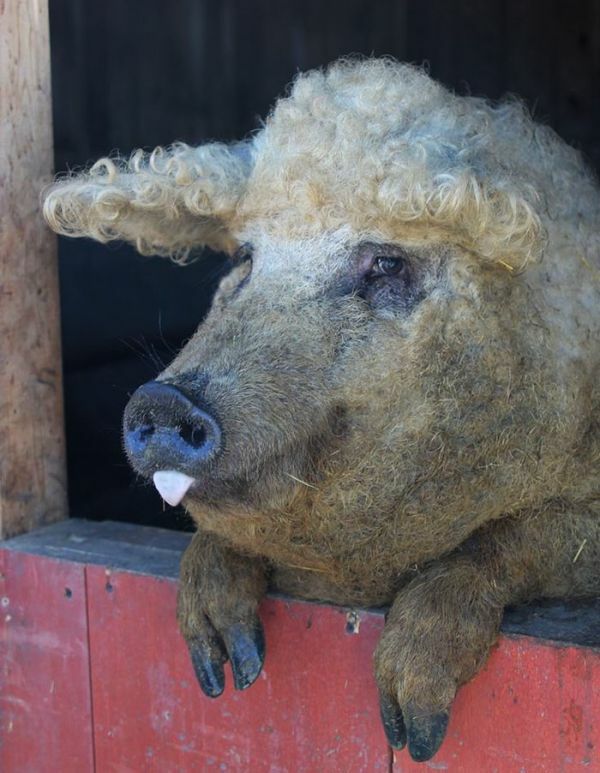 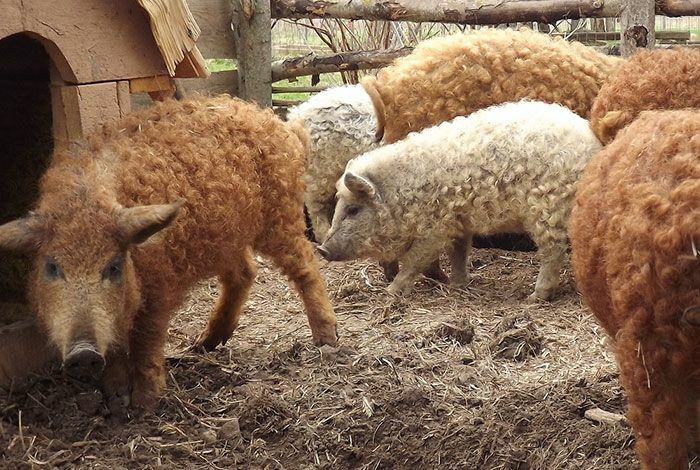 The Mangalitsa pig is unlike any other pig you've ever seen before. 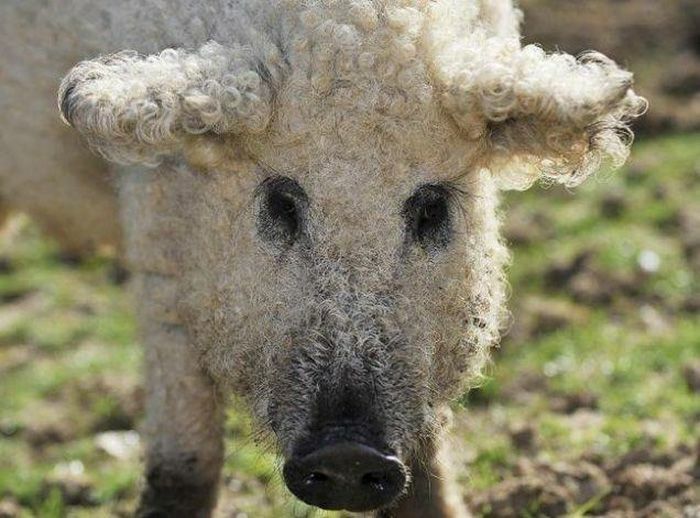 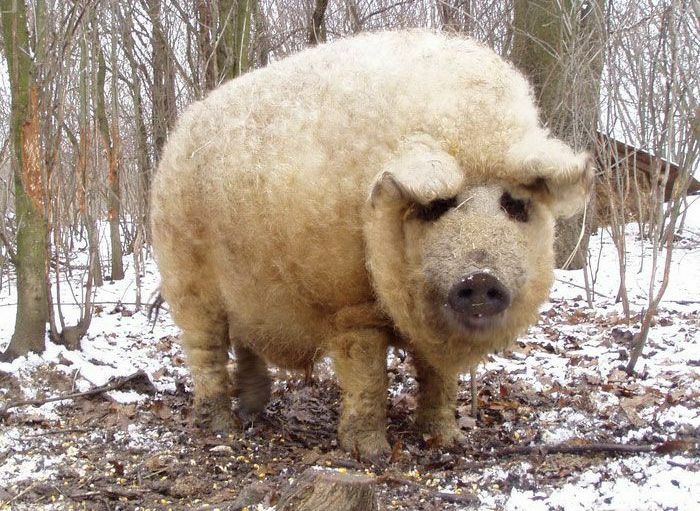 This Hungarian breed of pig looks like a sheep, but acts like a dog. 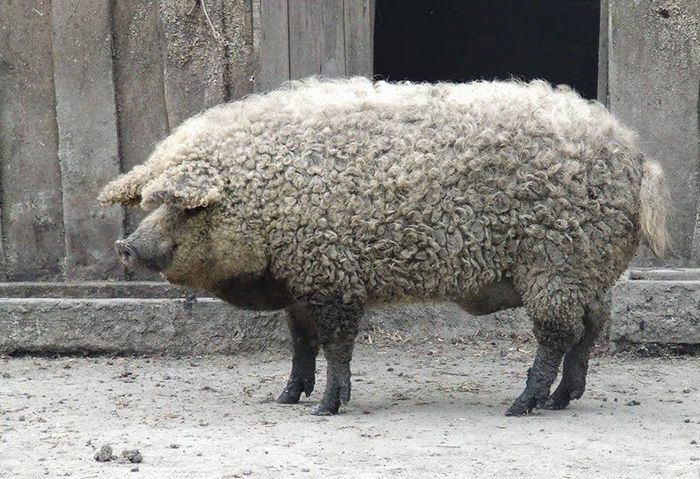 new sweater and bacon in the fridge, sounds good to me! 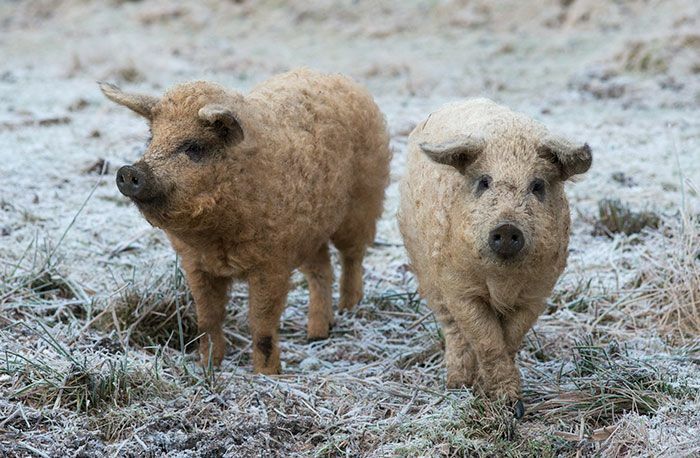 Cute, warm and tasty, what else to wish for!